There are many different fun brain teasers on this website. There are different types of Fun Brain Teasers like Fun Maths Brain Teasers, Fun Logical Brain Teasers, Fun Picture Puzzles and also Word Brain Teasers like Rebus Puzzles. Out of these fun brain teasers, it is the Fun Maths Brain Teasers which is being liked most by the Kids. 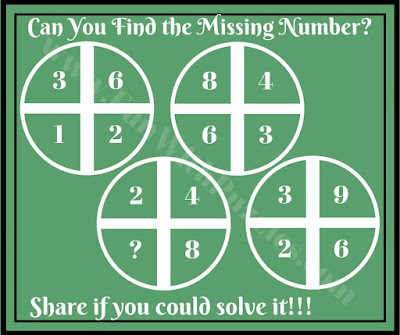 So here we go with another set of Fun Maths Brain Teasers. In these Fun Maths Brain Teasers a Circle is given which contains 4 numbers. These four numbers in the Circle are related to each other. 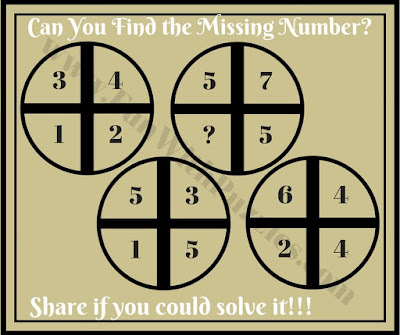 One of the number is missing in on of the Circle and is marked with Question Mark. Your challenge is to find the relationship between the numbers given in the Circle and find the number which will replace the question mark. 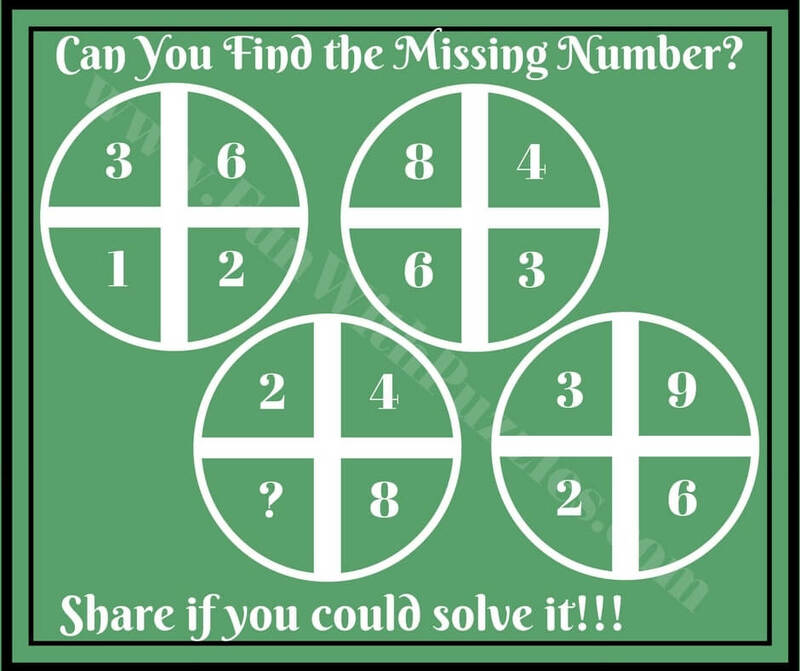 Answers of these Fun Maths Brain Teasers is given at the end of this post. 1. Can you find the missing number in Circle? 2. Can you find the value of Question Mark? 3. Can you find the number which will replace question mark? 4. 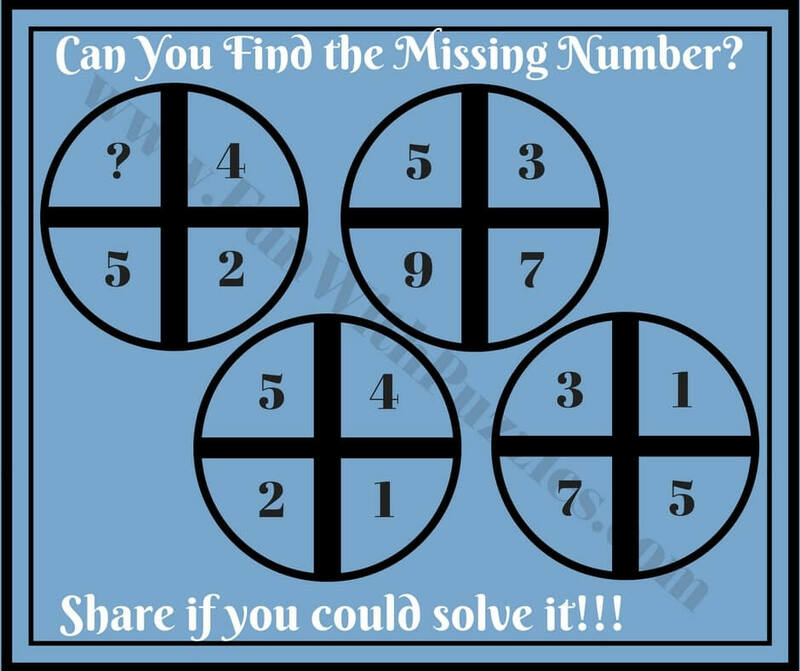 Can you find value of missing number in Circle? 5. What is the value of missing number in Circle? 1. 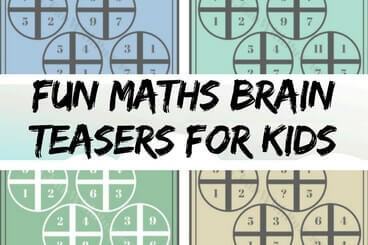 Easy Mathematical Brain Teasers with answers For Kids and Teens to Challenge your Brain: If you love solving Maths Brain Teasers, then you should definitely check these easy Maths Brain Teasers for Kids and Teens which will challenge your brain. 2. Out of Box Thinking Fun Brain Teasers with answers to Challenge your Mind: This contains mix of Maths and Logic Fun Brain Teasers. However you will need to think out of Box to solve these brain teasers. 3. Fun Brain Teasers For Kids, Teens and Adults with Answers to Challenge your Mind: These are the most loved Fun Brain Teases on the website. It contains mix of Mathematical, Logical and Word Brain Teasers. 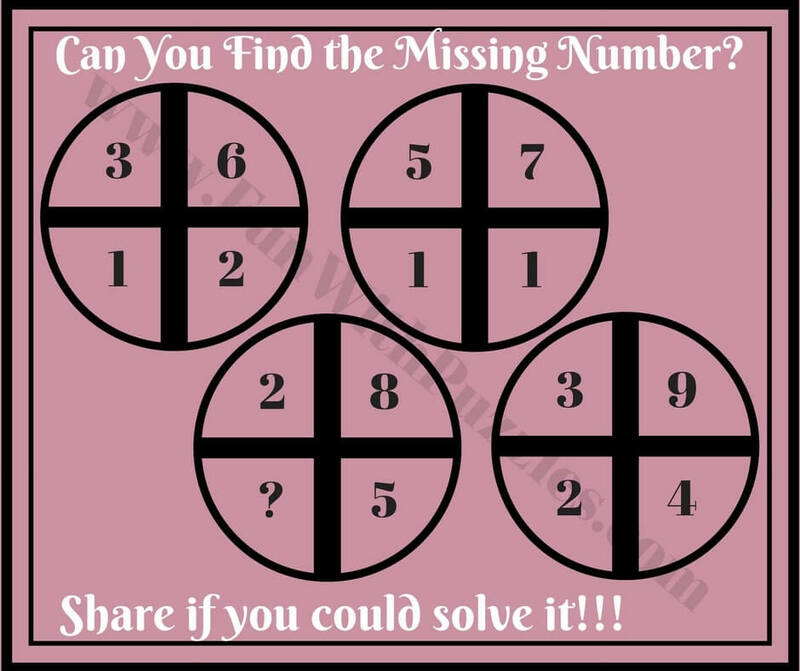 Do try these fun Brain teasers to twist your mind. 4. Quick Fun Brain Teasers with answers: This contains Easy but Tricky Fun Brain Teasers which you should answer as quickly as possible. You will be surprised that your answer will go wrong in most of these quick fun brainteasers. Answers of these Fun Maths Brain Teasers for Kids are given as below. For understand the relations between the numbers in Circles lets mark the numbers with A B C D clockwise starting with top left number.